Forget the valentine box... we made this easy valentine holder with some crate paper and a brown paper bag! My six year old wanted a kitty cat valentine holder this year because he just got his first pet this year, his very own kitty-cat. So he is all about cats right now. This takes about ten minutes to put together. Make sure your head cut-out shape is as wide as the bag. 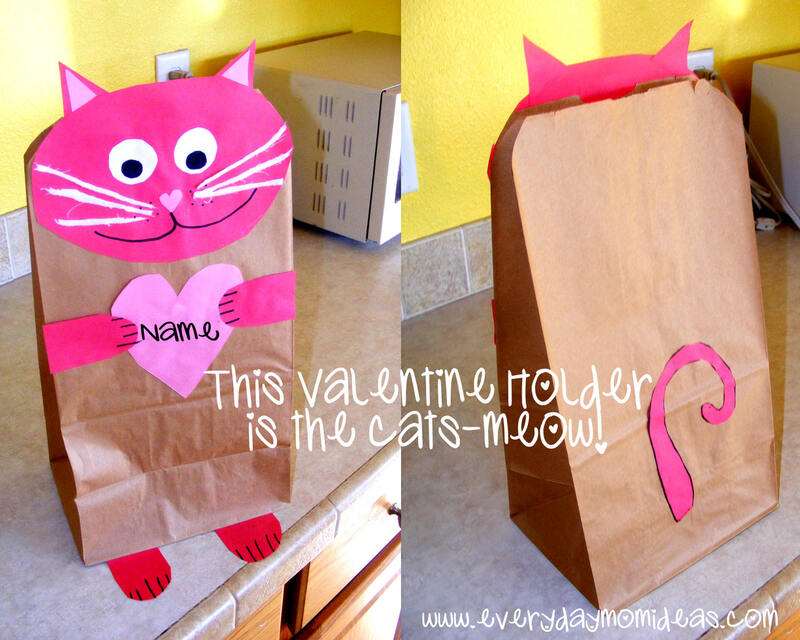 This is a fast and easy craft and your little one will love to help by gluing the pieces on. We heart you this valentine season! Love it! I have a girl that would love this one for her valentines. Thanks for posting. Saw this on One Pretty Thing and had to visit your blog.